It’s National Women’s Enterprise Day in Ireland, so there’s no better time than this to publish our 2015 list of Ireland’s technology women, also known as the yearly “Talented 38”. This is the fourth annual list of Irish and Ireland-based technology women, all of whom are driving the ICT, medtech and/or startup scenes in Ireland, the US, and around the world, and shortlisted from a longer list of 83. You can also view our previous lists from 2014, 2013, and 2012. 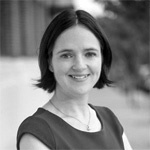 Ailish Ryan is the director of Mocks.ie (used by 20% of Leaving Certificate and 15% of Junior Certificate students), and more recently iRevise.com (covering GCSE and A-Levels for England and Wales). She is also a director of Ryan and Associates, has worked as a senior fire engineer for a large fire safety engineering practice. Ailish has a Masters in fire safety engineering from Ulster University and a BE in electronic and computer engineering from NUI Galway. Áine Behan is the CEO and co-founder of Cortechs, developing engaging games to make users more relaxed and focused using brainwave technology and neuroscience. She was previously a research lecturer in the Royal College of Surgeons in Ireland, and has won a number of awards for her research. Áine has a PhD in neuropathology and an MSc in leadership and management development for researchers from RCSI, and a BSc in neuroscience from UCC. 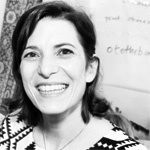 Alice D’Arcy is the course director for STEAM Education, bringing innovative solutions for teaching science, technology, engineering, the arts and maths to young children. She was previously an environmental consultant and green campus facilitator for UCC, and has worked as a facilitator with SUAS, SEI and Animation Space. Alice has a PhD on the sustainability of agrifood systems and a BSc in applied ecology from UCC. 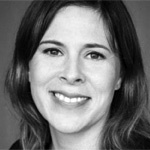 Anne-Marie Farrell is the head of behavioural economics research at Google in San Francisco, with a focus on designing experiences to strengthen Google’s marketing and product strategy. She has worked at Google since 2006 in a variety of roles, including senior strategy and business analytics manager and senior financial analyst, and previously worked in Accenture as a management consultant. 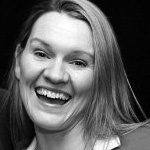 Anne-Marie is a past student of NUI Galway, where she graduated with a BE in electronic and computer engineering in 2003. Avril Copeland is the founder and CEO of TickerFit, a cloud-based application that allows health professionals to provide personalised lifestyle interventions for each patient, based on their current health status. She has won a number of awards for TickerFit, including a National Healthcare Innovation Award in 2015, and is a founding member of Pieta House’s Darkness Into Light 5k walk/run. 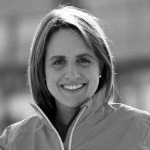 Avril is a chartered physiotherapist, with degrees in physiotherapy from RCSI and in exercise science from Belmont University. 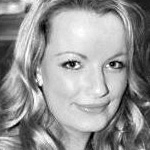 Caitriona Lynch is director of C Infinity, working with startups and larger enterprises to help them choose appropriate SaaS infrastructures and platforms as well as associated support services. She has also worked as a consultant and business advisor with C3 Consultants, as a financial and systems lead for Apple on their global ERP systems and business process reengineering projects (including iTunes), and in various financial roles with Black & Decker and PWC. A co-organiser of the recent Entrepreneurship at Work event at NUI Galway, Caitriona is a qualified chartered accountant with Chartered Accountants Ireland, and holds an MBS in finance and financial management services from UCC. 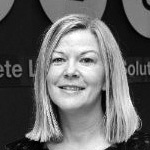 Caroline Cawley O’Neill is the CEO and board member of ITAG, the Information Technology Association of Galway, whose remit is to promote, strengthen and grow the information technology industry in the West of Ireland. 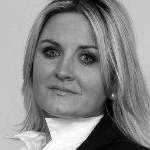 She is also the promoter of ITAG Skillnet, delivering tailored training and learning programmes to over 50 companies involved in the IT sector in the Galway area, and she has a background in HR with senior posts in general management and public relations (Cigna, Business Advantage). Caroline strongly supports the arts, is actively involved in local fundraising for various charities and community projects, and has a qualification in human resource management from GMIT. Ciara Clancy is the CEO of Beats Medical, aiming to revolutionise how people with Parkinson’s are treated, assessed and monitored using technology, with the goal of improving their mobility and independence. She was a finalist at the Cartier Women’s Initiative Awards for Europe in 2015, and was the startup / overall winner for the Dublin region of the Ireland’s Best Young Entrepreneur Awards in 2014. 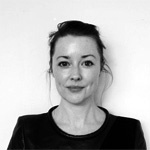 Ciara has previously worked at Nike, and is a chartered physiotherapist with a BSc in physiotherapy from TCD. 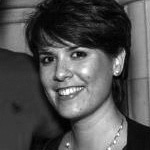 Danielle Mallen is the co-founder and COO of Acteavo, a B2B reservation and management software solution for tour and activity companies. 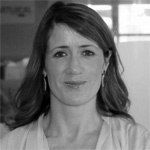 She is also co-founder of TripClocker, and previously worked as an investment portfolio manager with Bank of Ireland. 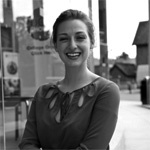 Danielle has an MA in international relations and a BA from DCU, and is a QFA with the Institute of Banking. 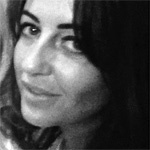 Deirdre Ní Luasaigh is co-founder and COO of CultureArk, a digital archiving platform for brand archives, creative agencies and cultural heritage organisations. She has previously worked in creative director and graphic design management roles with various companies including Hähnel Industries, EPC Direct and Uppercase. A native Irish speaker from Dún Chaoin in the west of County Kerry, Deirdre has participated in the Enterprise Ireland New Frontiers programme at CIT and in the LaunchPad programme at the NDRC. 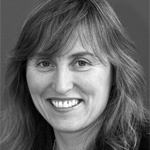 Diane Hodnett is an executive director at AEConnect (part of AquaComms), a new transatlantic subsea fibre optic cable system that connects North America with Europe and joins Ireland at Killala in Mayo. She was previously founder and CEO at Sea Fibre Networks, and before that was director of corporate development and Netherlands country manager at euNetworks. A BComm graduate from UCC, Diane is also a mentor at the synthetic biology axlr8r and on the organising committee of Techies4TempleStreet, a technology community charity event for Temple Street Hospital. Edel Browne is the founder of Free Feet, a multi-award winning medical device designed to treat gait freezing for people with Parkinson’s disease. She is a past participant on the STEMette’s Outbox Incubator in London, a founding member of the Digital Youth Council in Ireland, and a global youth ambassador for AAT (America’s Amazing Teens). 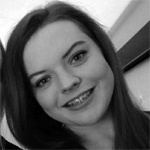 Edel is currently studying for a BSc in biotechnology at NUI Galway, and is a past best individual award winner at the BT Young Scientist competition in 2013. Edel Flynn is co-founder and director at Element Property, providing coworking space for startups in Dublin’s city centre. She was previously CEO (and before that COO) of the Digital Hub Development Agency, and has worked as operations manager for Regus’ EMEA business centres, and as head of information for Visit Britain. 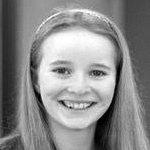 Edel is chair of Bizworld Ireland, which helps tweens to learn about critical thinking, team work, digital skills and enterprise, and has a BA in international business studies from Sheffield Hallam University. Emer O’Daly is co-founder and CEO of Love and Robots, a design brand that makes unique and customisable 3D products that customers can tweak online for printing on demand. She was previously a lecturer in digital design/emergent technologies at UCD, and worked as an architect at Heneghan Peng, where she coordinated designs on projects such as the Grand Egyptian Museum. With her Love and Robots co-founders, Emer has won a number of startup awards (Spark of Genius, Seedcamp, DCU Ryan Academy Propeller), and she also has a MArch from Yale and a BArch from UCD. Evelyn O’Toole is the CEO of Complete Laboratory Solutions, a contract lab that provides microbiological analytics to the pharmaceutical, medtech, food and water industries, and employs over 100 people. Prior to CLS, she managed a laboratory for Gaelic Seafoods, an aquaculture subsidiary in Ireland, and prior to that she worked in the UK as a QA and R&D analyst in Hammer Paints. Evelyn has a diploma in business development from IMI, a diploma in “train the trainer” from NUI Maynooth, a diploma in pollution assessment/control from Sligo IT, and a certificate in applied biology from Athlone IT. 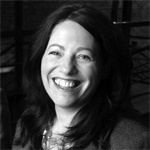 Fiona McCarthy is executive director HR at Dell, where she has worked for over 17 years, and is also a global HR business partner for Dell. She previously worked at Boston Scientific, AST Computer, Analog Devices and DEC, and is a passionate advocate of young women entering the disciplines of engineering, science and technology. 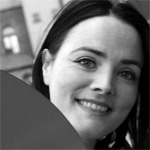 Fiona has an MBA from UL, a postgraduate diploma in computer systems analysis from NUI Galway, and a BA in economics from UCC. 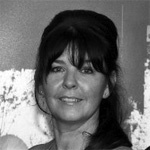 Helen Ryan was CEO of Creganna-Tactx Medical, Ireland’s largest indigenous medical device company and ranked among the world’s top 10 medical device outsource providers, between 2005 and 2013. 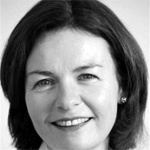 She is a board member of Enterprise Ireland, and previously worked with Tyco Healthcare (Covidien), Medtronic and CR Bard in product development and R&D functional management roles. 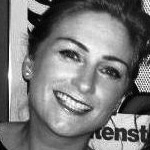 Helen has completed a senior executive programme with Stanford University, has an MSc in project management from UL, and a BE from NUI Galway. Jayne Ronayne is co-founder and CEO of KonnectAgain, which aims to reconnect past alumni and institutions together to ensure that institutions receive the most up-to-date information on their alumni. She is co-founder of Graduate Founders with Connor Murphy (encouraging graduates to run a startup), a member of the One/Thousand Network, and co-founder of UrYearBook (also on UCC’s Ignite programme). She has a degree in government, public policy, marketing and management from UCC, where she was also president of their Entrepreneurial and Social Society from 2011 to 2012. Joanne Dolan is the site general manager at the Insight Centre for Data Analytics in DCU, one of four sites in Ireland’s largest decentralised ICT research institute and funded by Science Foundation Ireland. 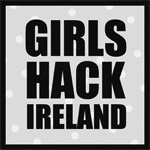 She also leads Girls Hack Ireland, an initiative which aims to generate knowledge and interest among girls to pursue the academic disciplines of STEM subjects through creative and interactive learning. Julie Currid is co-founder and COO of Initiafy, which helps companies like Domino’s, Pfizer, Adobe, Sodexo and Lidl to manage the initial steps each employee and contractor takes to become part of their team. She previously worked in business development with EazySafe, as territory manager for Loreal, as a marketing and sales manager with Puratos, and as a promotions executive with UTV Media. Julie has a BSc in management and marketing from DIT, was a participant on the Going For Growth programme in 2014, and is interested in technology startups and female entrepreneurship. Katie Tsouros is co-founder and CEO of Artfetch, an ecommerce platform that globally selects, curates, and sells emerging contemporary art online. She is an ambassador to the One/Thousand Network, a member of the World Economic Forum Global Shapers, and previously held positions at IMMA, Artwise Curators, Sadie Coles HQ, and the Rubicon Gallery. 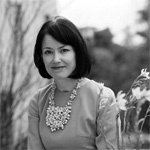 She has an MA in contemporary art from the Sotheby’s Institute of Art and a BA in art history and philosophy from UCD. Kim Tighe is a solution lead with HP’s enterprise services division in Galway, where she has worked in a variety of roles over a ten-year period. She previously worked as a solution architect with HP, as a researcher at HP in conjunction with the Digital Enterprise Research Institute at NUI Galway, and as a software engineer at the company. Kim has a first class honours BSc degree in information technology (computer science) from NUI Galway, and is a fundraiser and supporter of children’s cancer charity Hand in Hand West. 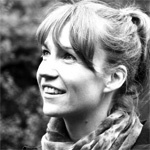 Lauren Boyle is the founder of Cool Kids Studio, teaching life skills to kids aged 3 to 12, e.g. what to do on a rainy day (plus maker projects), how to deal with bullies, making friends, healthy eating and meditation. She is also the founder of Cool STEAM Kids, promoting STEM/STEAM/STREAM to 10 to 15 year olds, and she was also named as European Digital Girl of the Year at the European Ada Awards in 2014. As well as being an app and web developer herself, Lauren is a member and mentor with the national/global CoderDojo movement, where she helps teach other kids how to code. Linda Kiely is co-founder and director of Voxpro, a multilingual business process outsourcing provider set up twenty years ago and headquartered in Cork that now employs nearly 500 people. With Voxpro she has won multiple awards, including Deloitte Best Managed Company and EY EOY Finalist in 2013, and she previously worked in Pageboy Communications and the Department of Foreign Affairs. Linda has qualifications in HR from Coombes HRM, as an accredited strengths practitioner from Libra Coaching, in HR from Cork IT, and in marketing from the College of Commerce. Lisa Ruttledge is co-founder and CEO of Sen Academy, whose mission is to improve student understanding, confidence and engagement in mathematics through challenging, self-led activities. She was previously co-founder and director of the Think Academy, worked as an engineering consultant with GE and as an engineer with EirGrid, and has taught at UCD and on KPMG’s Bright Sparks programme. A winner of the Impact Series Minnovation Award (best social idea to change Ireland) from Social Entrepreneurs Ireland/JP Morgan in 2014, Lisa has a PhD and BE in electrical/electronic engineering from UCD. 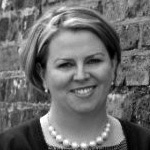 Louise O’Sullivan is the founder and CEO of Anam Technologies, a leading provider of innovative and intelligent mobile messaging security solutions. She previously worked at Logica as leader of their service delivery business in the UK, and before that as project manager for Aldiscon’s short message service centre implementations. Louise gained her initial training in business from the internationally recognised Shannon School of Hotel Management. 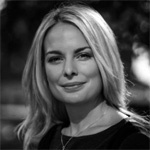 Mairéad Ní Mhaoilchiaráin is founder and managing director of Irish TV, connecting Irish communities and businesses worldwide through its satellite and online video offerings that are targetted at the Irish disapora. She previously worked as CEO of Gnó Mhaigh Eo and director of Mayo Media Productions, in advertising roles at the Irish Times and the Irish Echo newspapers, and in journalism roles with RTÉ and Foinse. She is a graduate of the entrepreneur’s programme at GMIT, and studied for a BA and higher diploma in applied communications (ard-dioplóma i gcumarsáid fheidhmeach) at NUI Galway. Martina Skelly is co-founder and CEO of YellowSchedule, a cloud-based appointment management and client CRM tool for the mental health sector, with customers including GoDaddy and GoodLife Fitness. 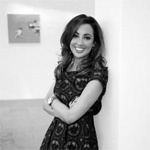 She was previously the owner and operator of hoteldealsireland.ie, and has worked in variety of online marketing roles with Activate Marketing, Digino Marketing, and the Mercer Accommodation Group. Martina was winner of the Women in Business Award at the Vodafone Startup Awards in 2013, and has a diploma in international sales from DIT and a BSc in software/design/multimedia from Plymouth University. Mary Carty is co-founder of the STEMette’s Outbox Incubator, the first STEM-focused incubator for girls under 22, provide seed funding, mentorship and support to those who have innovative STEM business ideas. A board member of the Irish Internet Association, she was previously CEO of online agency Spoiltchild, co-founder of email marketing platform Toddle, and before that county arts officer for Meath County Council. Mary has lectured widely on business development and entrepreneurship in universities and colleges across Europe, and has an advanced diploma and MA from Ulster University, and a BA and diploma in fine art. Mary Moloney is the global CEO of the CoderDojo Foundation, responsible for CoderDojo’s operations and growth worldwide, with 800 coding clubs in 60 countries reaching 40,000 kids and young people 7 and 17. She was previously a partner at Accenture, where she filled managing director, CEO, COO and talent/HR director roles within Accenture and for international financial/professional services and high-tech clients. 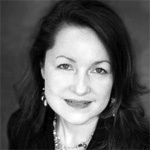 Mary is active in various business organisations, including board of director roles for the Dublin Fringe Festival and the European Professional Women’s Network, and she is a law graduate from TCD. Norah Patten is an adjunct faculty member and co-chair of the space humanities department in the International Space University’s space studies programme. She previously worked as a composite materials researcher at the Irish Centre for Composites Research at UL, a lecturer in engineering at UL, and in engineering roles at Alcatel-Lucent and Boeing. 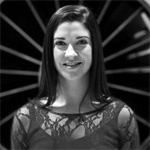 Norah is the Irish national contact point for the Space Generation Advisory Council, and has a PhD in aeronautical engineering and a BE in aerospace, aeronautical and astronautical engineering from UL. 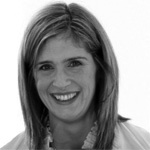 Patricia Scanlon is founder and CEO of SoapBox Labs, developing a speech technology-based assessment and personalised learning platform for young children learning to read or learning a language. 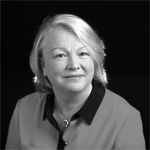 She has held research positions with Bell Labs Alcatel-Lucent (working with businesses and collaborators to design and develop innovative products), the IBM TJ Watson Research Centre, and Columbia University in New York. 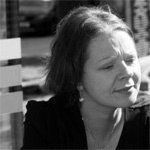 Patricia has a PhD in electronic engineering/digital signal processing from UCD (on feature analysis for audio and visual speech recognition), and a BScEng in electronic/electrical engineering from DIT. Rhona Togher is co-founder and CEO of Restored Hearing, creators of the “Sound Relief” streaming online sound therapy to alleviate tinnitus or ringing in the ears, and the forthcoming “Sound Bounce” responsive hearing protection headset. The original idea for Restored Hearing emerged from a project that she and co-founder/CTO Eimear O’Carroll entered for the BT Young Scientist and Technology Exhibition in 2009. 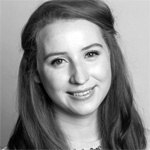 In charge of the logistics and manufacturing side of Restored Hearing and now based in Westmoreland Street (having come through Wayra and NovaUCD), Rhona graduated with a BSc in physics from UCD in 2013. Sinéad Kenny is founder and CEO of DiaNia Technologies, a medical device materials technology company based on NUI Galway’s campus focusing on a series of products incorporating built-on components while maintaining a low profile so that they are easy to fit into the anatomy. She was previously a design engineer with Creganna for nearly eight years, a healthcare consultant with Altran, a lecturer in polymers and materials at UL and LIT respectively, and has worked on regulatory affairs with Cook Medical. Sinéad has received funding under the SME Instrument of Horizon 2020, and she has an MSc in project management, a PhD in biomedical cements, and a BE in materials science from UL. Siobhán Ní Chofaigh is the founder and CEO of Mint Tek Circuits, whose aim is provide an online marketplace for hardware developers building prototypes to make it faster, easier and cheaper for them to source their hardware needs. She is also a part-time European projects coordinator for the “Startup Scaleup” internet of things accelerator at the DCU Ryan Academy, and has worked in a variety of operational and business development roles at Noni Lifestyle, Beta Layout, Sanmina, Infineon, Betatherm and Bemitech. Siobhán is a passionate about teaching kids how to design and build hardware using a PCB and components (through Hardie Kids), and she has an MBA from UCD and a diploma in electronic engineering from DIT. 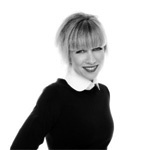 Sonya Lennon is co-founder of Frockadvisor, a social commerce platform for independent fashion retailers that has received a number of awards including an Irish Times FUSION Award in 2013 and an Arthur Guinness Fund Award in 2012. 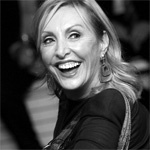 She is also the founder of Dress for Success Dublin, is a board member of the Crafts Council of Ireland, and presented the television show “Off the Rails” for seven years on RTÉ. Sonya’s work with Frockadvisor has been recognised by Astia, a global community dedicated to the success of women-led, high-growth ventures, and the company has been supported by Enterprise Ireland HPSU, NDRC LaunchPad, and Wayra. 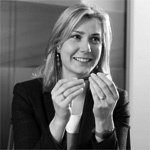 Tanya Duncan is the managing director of Interxion, a Dublin-based cloud and carrier-neutral data centres company, where she has held a number of positions before becoming MD in 2005. She is vice chair of the Telecommunications and Internet Federation outsourcing services industry group in IBEC, and began her career in the telecommunications sector with roles at Esat BT and KPNQwest. 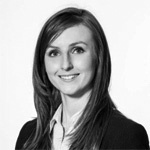 Tanya has qualified in business administration and management from IMI, has a graduate diploma in business studies from DBS, and has a BA in mechanical and manufacturing engineering from TCD. Tara van Zyl is the founder and CEO of seamless, a platform offering the film and television industry a private and secure solution for real-time approvals, notifications, and communication. She released the iCostume app in 2013 for tracking costume continuity on film sets, and has worked in the film industry for over 20 years on a variety of projects including Game of Thrones and Ridley Scott’s Prometheus. 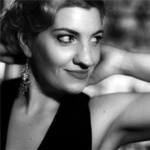 Tara has won various awards, including first prize for the Bell Labs IPMashup in 2015 and winner of NDRC Female Founders in 2014, and has qualifications in digital marketing, web design, and fashion technique and design.